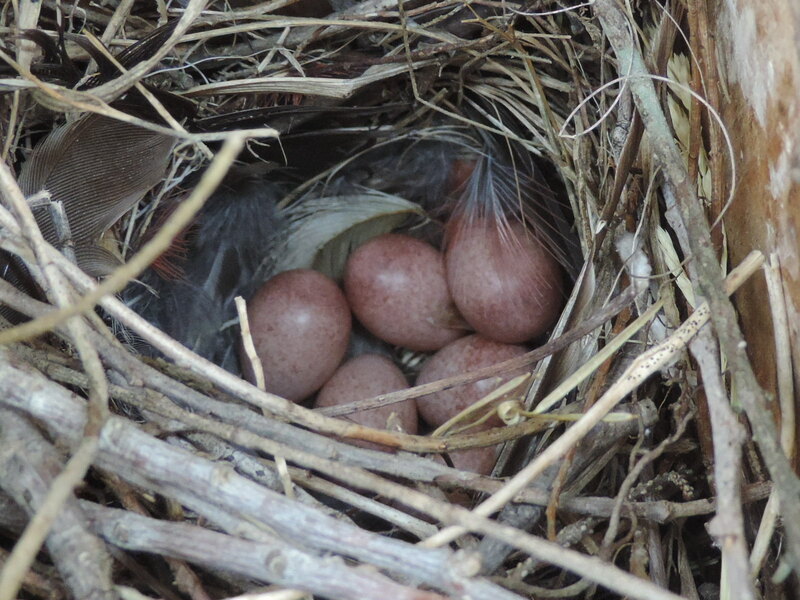 Nest of six eggs laid by a House Wren in a bird house near Wooster, Ohio. Photo taken on May 30, 2013 with a Nikon Coolpix P520 camera. Note: This is the third photo in a set of three.